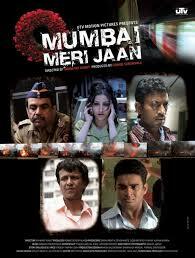 This Hindi-language film based on true events looks at the deadly train bombing that occurred on July 11, 2006. MUMBAI MERI JAAN examines the experiences of a variety of people, including a businessman, a journalist, an aging cop, and a coffee vendor. Nishikant Kamat directs a cast that includes R. Madhavan, Kaykay Menon, Paresh Rawal, and Irrfan.